Το πρώτο Farr 400 είναι ήδη στο νερό και κάνει δοκιμές στο Dubai. Το νέο one design σχέδιο του Farr φαίνεται ότι θα δώσει σκληρή μάχη με το Soto40 που έχει ήδη ένα προβάδισμα στην αγορά και είναι ήδη μέρος του Audi MedCup. Οι φήμες πάντως λένε ότι έχουν πουληθεί δέκα σκάφη ήδη και αν κάποιος ξέρει και έχει και τα μέσα να αναπτύσσει one design στόλους αυτός είναι Farr. Οι πρώτοι αγώνες προγραμματίζονται για τις αρχές του 2012. 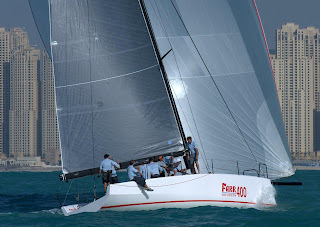 The FARR 400 is an all new, all carbon, 40ft racing yacht that combines Grand Prix level performance with innovative design details that allow for easy, cost effective transportation anywhere in the world. Unrivalled performance that is synonymous with the FARR brand - the most successful One Design office in the world. A boat with no performance compromises that can be easily shipped around the world on a 40’ flat rack container meaning substantial cost savings for the owner. 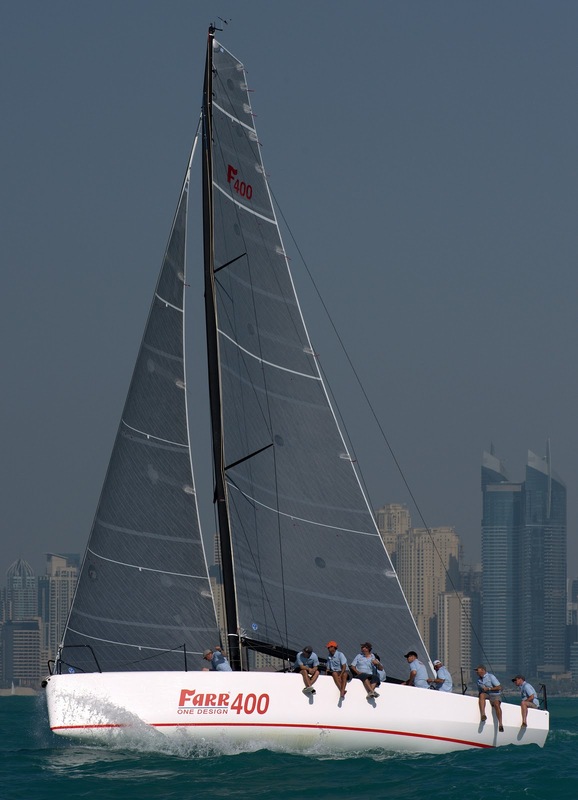 Designed by FARR Yacht Design, the worlds most successful racing yacht design team, and crafted by Premier Composite Technologies (PCT), the FARR 400 is designed and built to the highest standards utilizing the latest advanced composite materials and building techniques to deliver the highest specification one design so far.